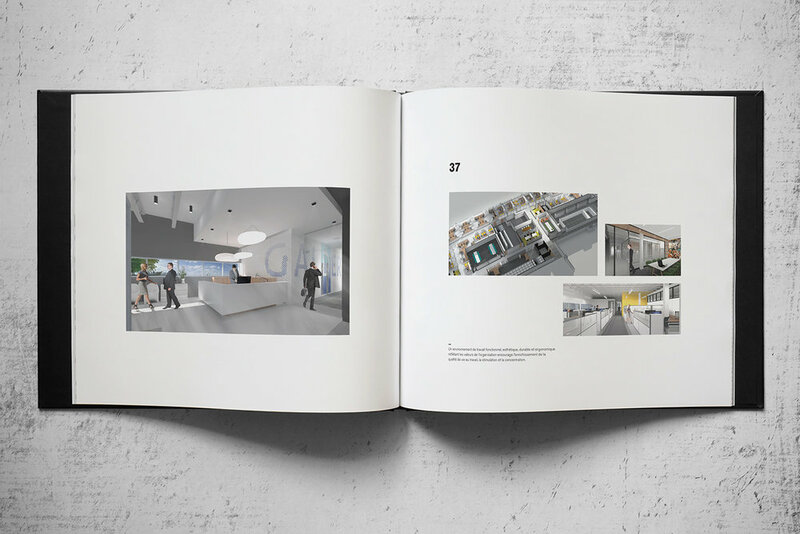 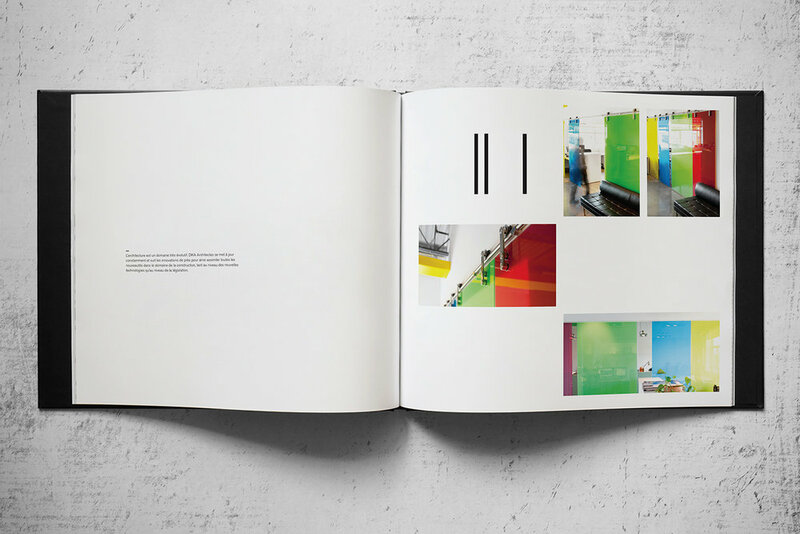 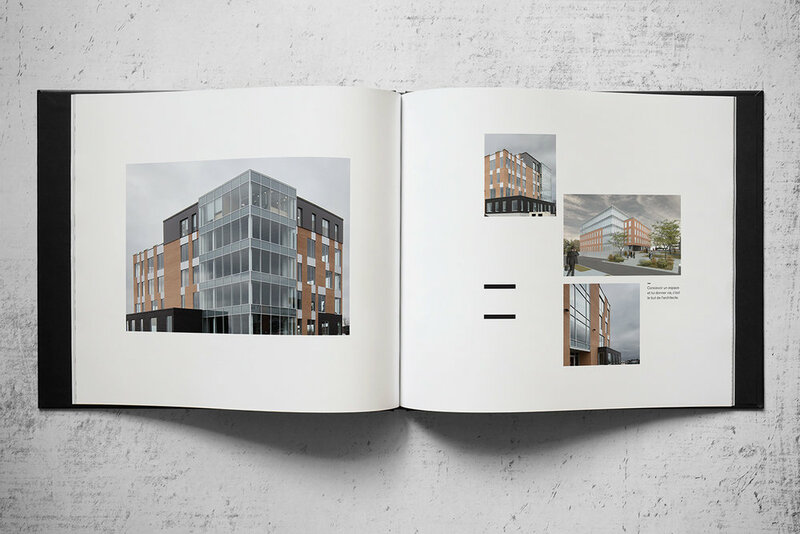 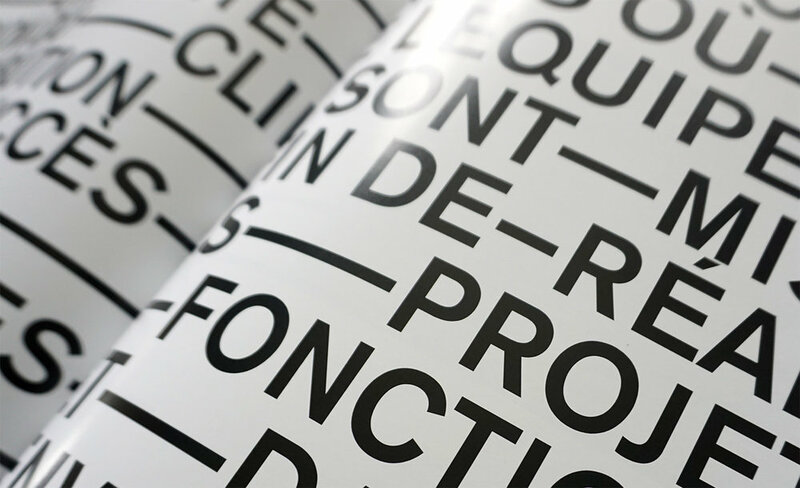 I was asked to design a "Coffee Table Book" for DKA Architectes, showcasing their work. 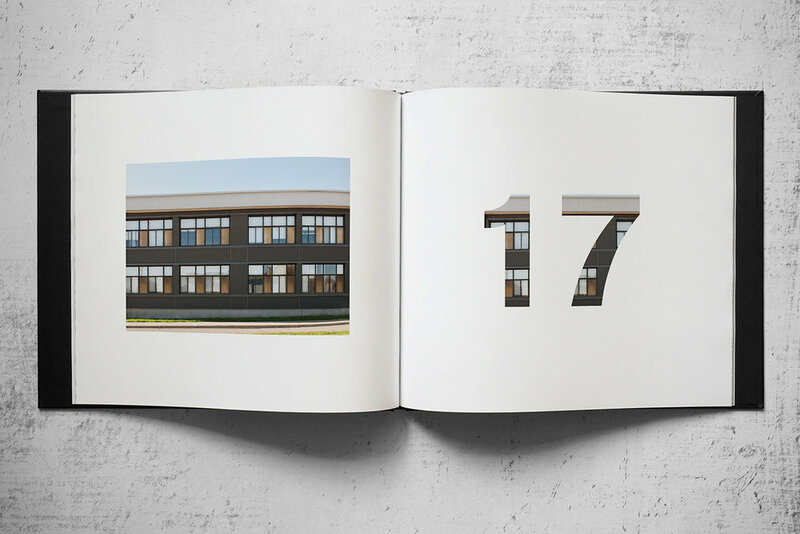 I created a modular grid system allowing me to create 72 unique pages that nevertheless feel part of the same whole. 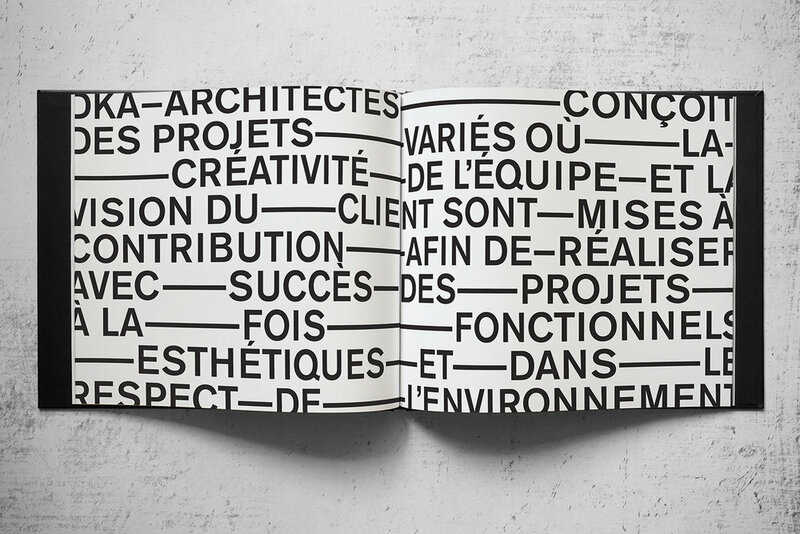 The resulting design is what I like to call "Structured Chaos". 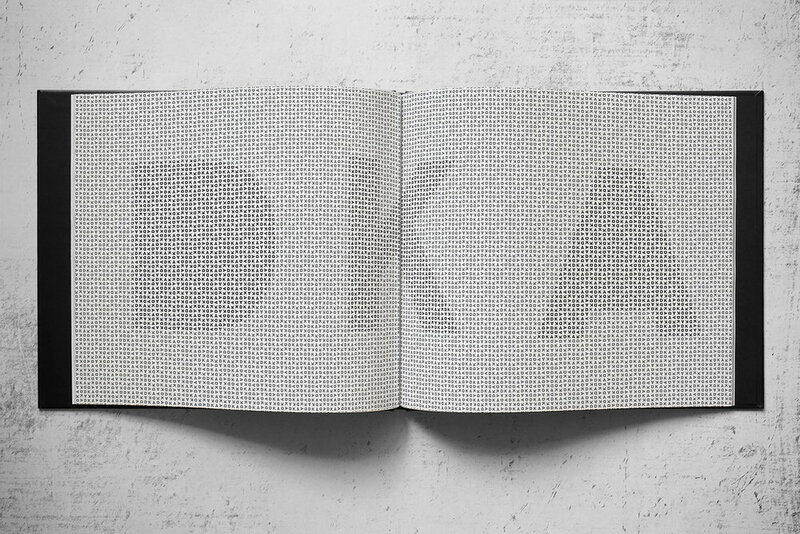 I had already developed a visual language for DKA based on strong lines and heavy contrast. 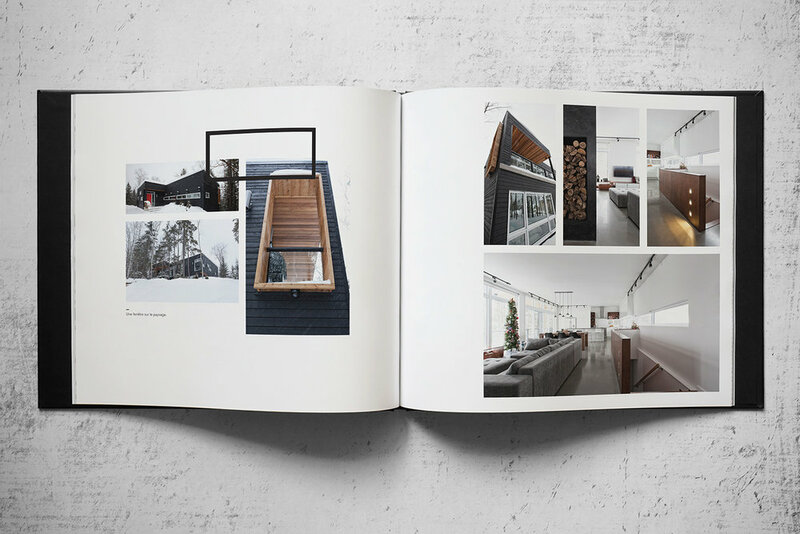 I wanted to continue that in the design of this book. 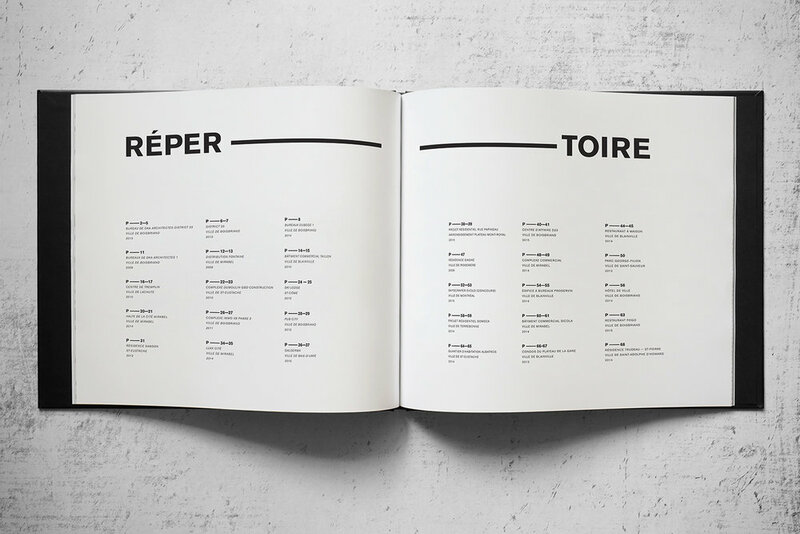 The cover is an extension of said language, pushing the envelope a bit further as to spell out DKA in morse code, using the same line system found inside.